Gents beautiful leather look gloves. Finished in black with a lovely soft lining. A great glove for driving in, walking or just to keep your hands extra warm this winter. 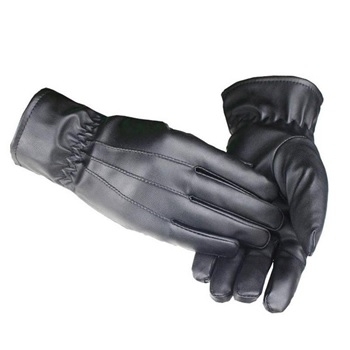 The gloves have a gentle expanding grasp on the wrist, with black stitching along the centre of the glove. Another great deal, just pay postage.